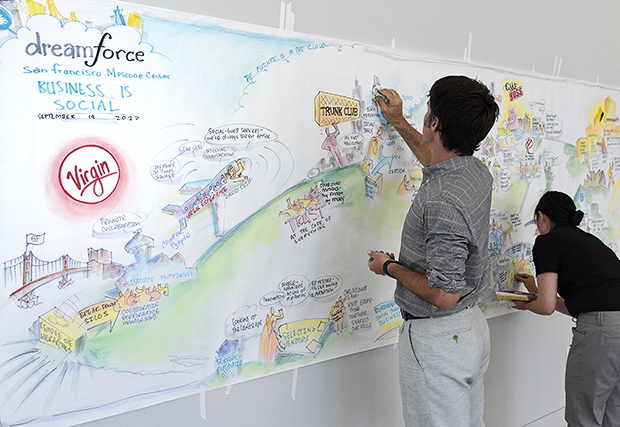 Salesforce.com hosted Dreamforce, the company’s annual cloud computing love fest, in San Francisco last week. With 90,000 registered attendees, the conference brought a sea of people to the Bay Area; throngs of people everywhere in hotels, on the street, in the hallways. The primary focus and message of this year’s event was social enterprise (which some vendors call social business but, more or less, it’s the same thing). By getting behind social business on such a massive scale, salesforce.com remains the largest, unequivocal proponent of social computing. Although other megavendors offer product lines based on social computing, over the last several years Marc Benioff, CEO of salesforce, has reengineered the entire company using social computing as the reference point. The enormous scale of Dreamforce is testament to the growing interest in cloud computing and increasing market penetration of social business. Although salesforce has a been a steadfast proponent of cloud since it’s inception in 1999, the push into social enterprise began seriously with the release of Chatter in 2009; with Chatter, salesforce committed itself to the path of social computing in the enterprise. When salesforce released Chatter, I questioned the company’s commitment to this new and different product. At that time, I asked Brett Queener, now Executive Vice President at salesforce, whether the company was prepared to get behind Chatter for the long term. His response was a definite “yes,” a commitment that time has proven to be accurate. MGI’s estimates suggest that by fully implementing social technologies, companies have an opportunity to raise the productivity of interaction workers—high-skill knowledge workers, including managers and professionals—by 20 to 25 percent. To reap the full benefit of social technologies, organizations must transform their structures, processes, and cultures: they will need to become more open and nonhierarchical and to create a culture of trust. Ultimately, the power of social technologies hinges on the full and enthusiastic participation of employees who are not afraid to share their thoughts and trust that their contributions will be respected. Creating these conditions will be far more challenging than implementing the technologies themselves. The challenge to salesforce.com. There is little doubt that salesforce.com is the most vocal, large scale proponent of social business today; this three billion dollar company has bet the farm on social enterprise. 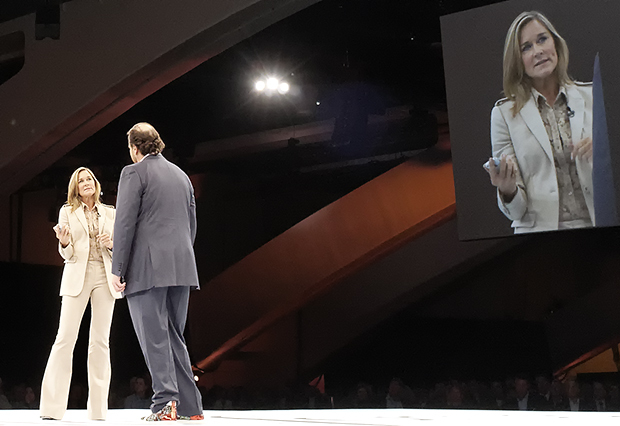 The large attendance at Dreamforce testifies to the success of the company’s market vision. However, as the McKinsey report describes, becoming a social enterprise requires organizational change that goes far beyond technology alone. For salesforce, this means helping customers through the learning process required to achieve real business transformation. Although salesforce has a services organization, and even bought a consulting firm called Model Metrics, the company’s DNA is all about self-service, cloud-based software. Because success with social business software requires a significant organizational change effort, salesforce may find its deep focus on product, rather than professional services, to be a cause of growth restraint in the future. Hiring former United States federal CIO, Vivek Kundra, to work with government clients. Although his role is surely business development, Vivek understands the transformation issues that government agencies experience. These three hires symbolize salesforce.com’s intention to develop a body of thought leadership, guidance, and credibility to help customers through the transformation process. Nonetheless, they are not a substitute for feet-on-the-street organizational change experts, which salesforce customers will increasingly need. 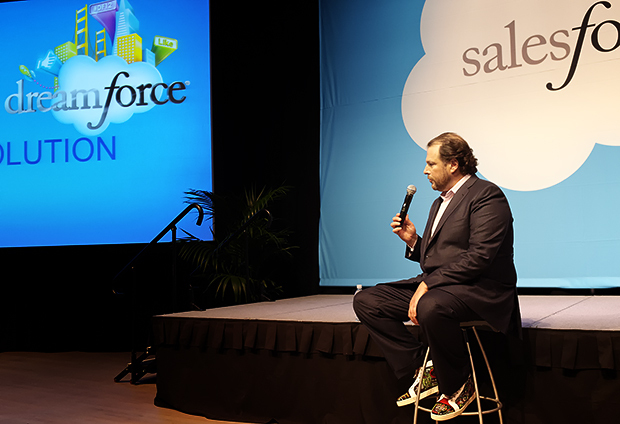 Delivering enterprise services will be a long-term challenge for salesforce as it grows. It is worthwhile to briefly discuss on-premise ERP vendors, like SAP and Oracle, for whom services are an essential part of the mix. Like social enterprise, ERP systems involve process transformation across a company; services are therefore an integral part of the established enterprise software ecosystem. From a services perspective, the long-term challenge to salesforce thus becomes creating a services ecosystem that avoids the IT project failures rampant among the on-premise vendors. For now, salesforce is surrounded by a group of “modern age” system integrators such as Appirio[disclosure: Appirio is a client], Blue Wolf, and Astadia — all of which presumably strive to avoid the excesses and poor communication that cause project failures on ERP projects. Social enterprise, or whatever you want to call it, is here to stay and it is important. 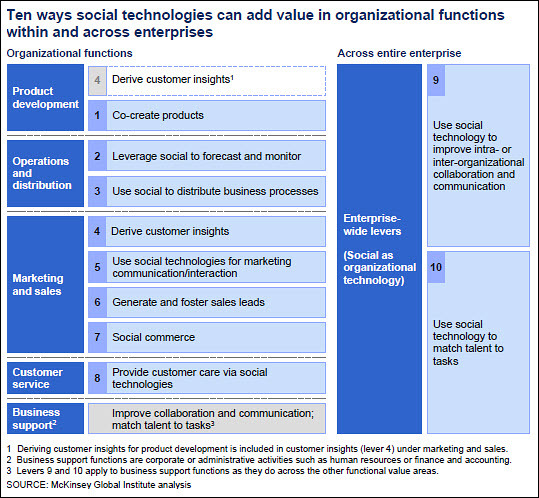 Frankly, if you are a CIO developing a social business strategy is essential to your survival. Today, or in the near future, the business will expect it from you and your customers will demand it of you.